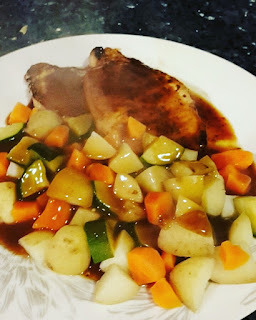 Another quick and simple meal to make: Barbecue pork, boiled vegetables and potatoes in onion gravy. 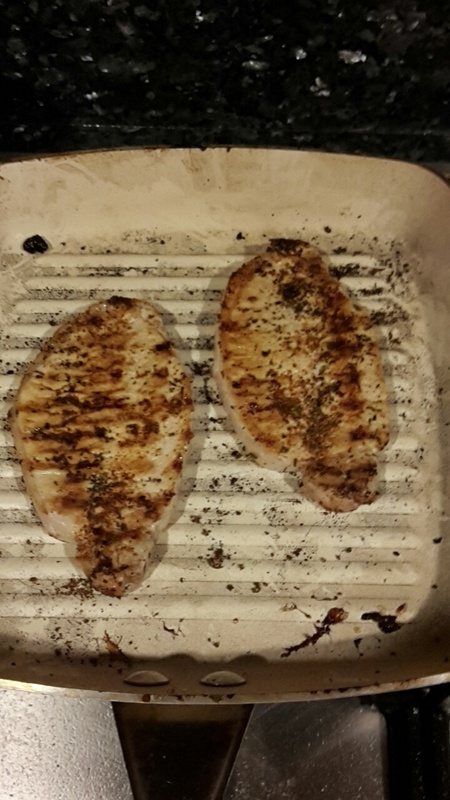 First you pan fry the Pork Steaks for 5 to 10 minutes till cooked fully through. 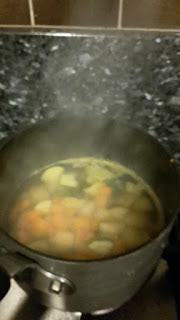 At the same time boil your vegetables and potatoes until softened. 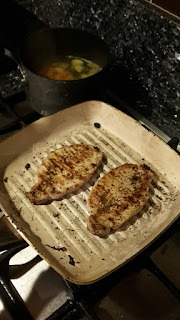 Then add the basil and barbecue spices on top of the Pork then flip over and sear - add spices on the opposite side and repeat for a couple of minutes. Then boil your water and stir in the ready made gravy mix (I used onion gravy granules) then pour on top and voilà your meal is done! A quick and simple meal to make and above all highly tasty!